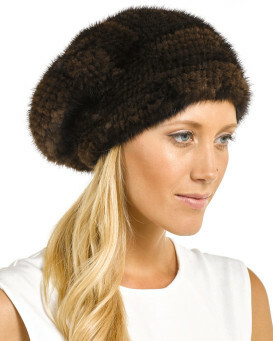 Stay trendy with this Mya Knitted Mink Fur Beanie Hat with Elastic Band. 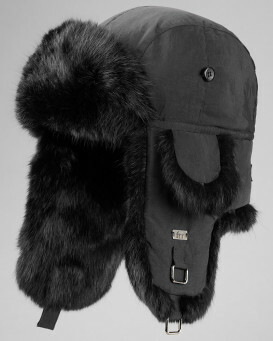 Real mink fur knitted into a beanie creates a hat that's both luxurious and casual. A knit construction and an elasticized band makes for a stretchy beanie that is sure to provide a snug and secure fit. A deep black shade makes for a versatile piece that can be worn with any outfit. The Mya knit beanie will to keep you feeling cozy and looking cute throughout the winter season. "Michigan gets lots of snow and cold weather. I love hats, but most do not fit my small head. 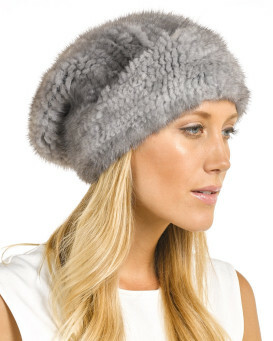 Because this gorgeous hat has an elastic band, I ordered it. When the hat arrived in a few days, it fit perfectly - and looks very snappy!" "A lovely slouchy beanie type hat, sooo soft and very comfortable. The elastic band is not too tight but not slack so that it slips off, the hat should accommodate a fair bit of hair tucked inside if necessary." "This hat is so, so, so cute! The construction is absolutely beautiful. It's fluffy, glossy and soft. I had purchased the Kate beret, and while it's nice, the pelted construction makes it more formal, stiffer, and less versatile in my opinion. The Mya however is young, hip and gorgeous for any occasion (ok, maybe not black tie....) Anyhow, it's a winner." "My third Mya beanie. 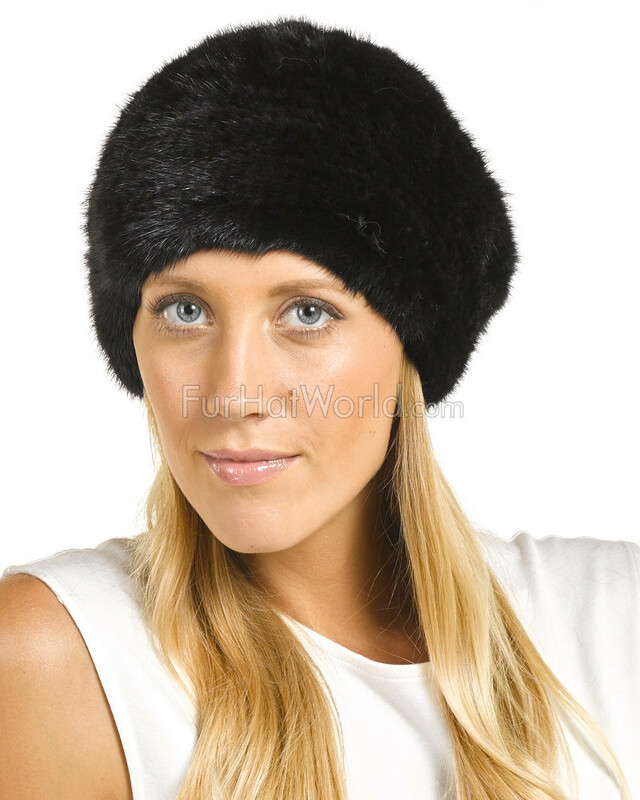 This is the best highest quality mink beanie available in the world at such a reasonable price. Warm even in high, cold Northern winds. Elastic lasts a long time and fits great even on a small head. Dress this hat up or wear with jeans, this is the most versatile fashion accessory you can buy. People will come up to you all the time and ask you where you got it. Even though FHW makes much fancier hats, this one for me is their flagship. No negative comments. Great customer service with FHW." 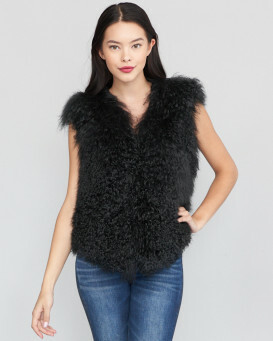 "Beautiful, dense, supersoft true to color mink fur that keeps me warm with no cold air felt on my head in subzero. 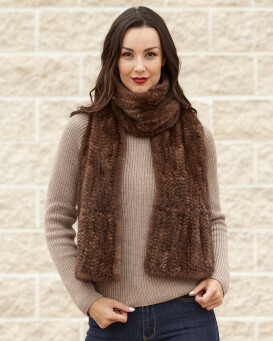 The quality of the knitting is unparalleled with other vendors of knitted fur. This hat is just downright pretty, feminine and so worth the price. 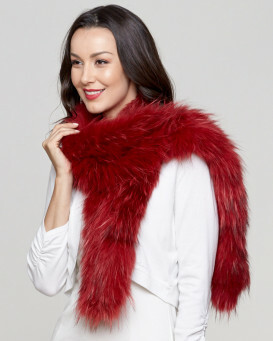 FHW sets the industry standard by far in fur accessories." "Website was great. The hat I ordered is the softest material I have EVER felt. I love the band around the hat. I have a small head and it stays on. Using for a trip to Canada. Just love it! Kept my ears warm too." "Just as described. Arrived timely, within the week of order. Looks and feels quality. Really like the elasticity around the head. Tight enough to keep the hat in desired place and loose enough not to give you a headache. I'm an average size 22-23" and fits me just fine."